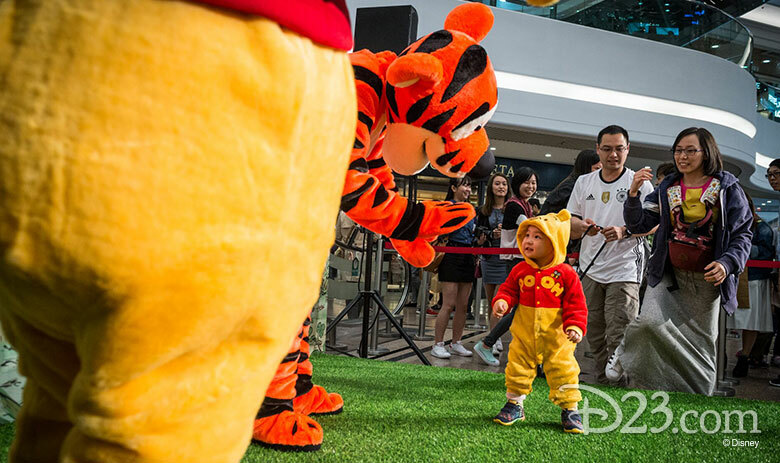 He’s friendly, kind, and all stuffed with fluff—and he’s brought his pals to Hong Kong for a very special visit! 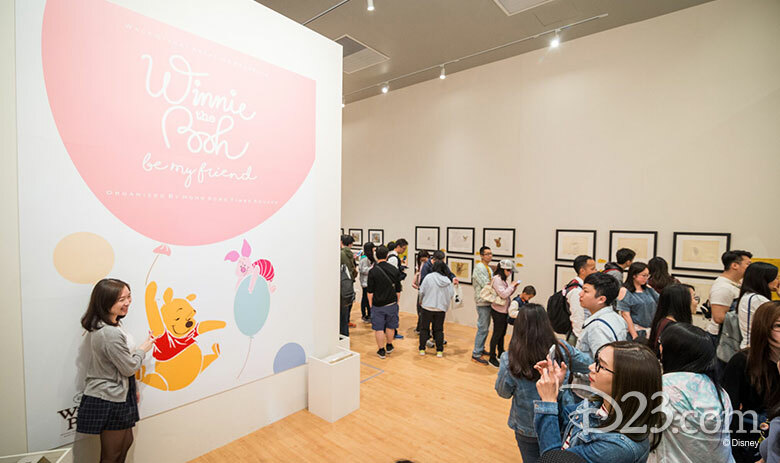 The “best bear in all the world,” Winnie the Pooh, has spent the last few years traveling the globe… and now, he’s making lots of new friends during the “Winnie the Pooh: Be My Friend” exhibition—now on display (and already hugely popular!) 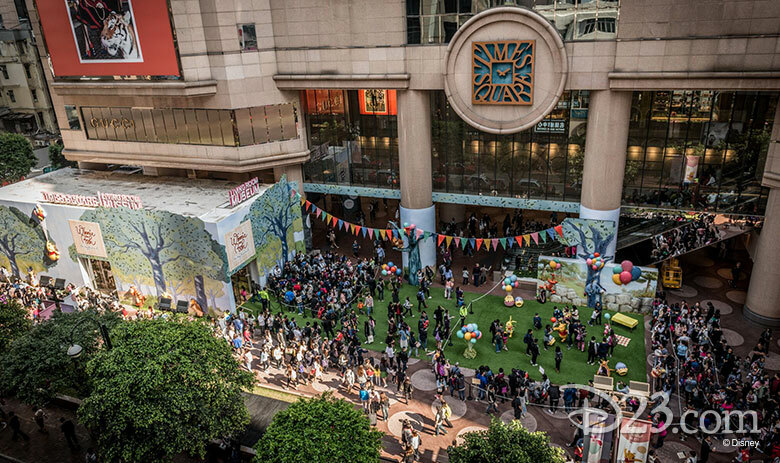 at Hong Kong’s Times Square mall. 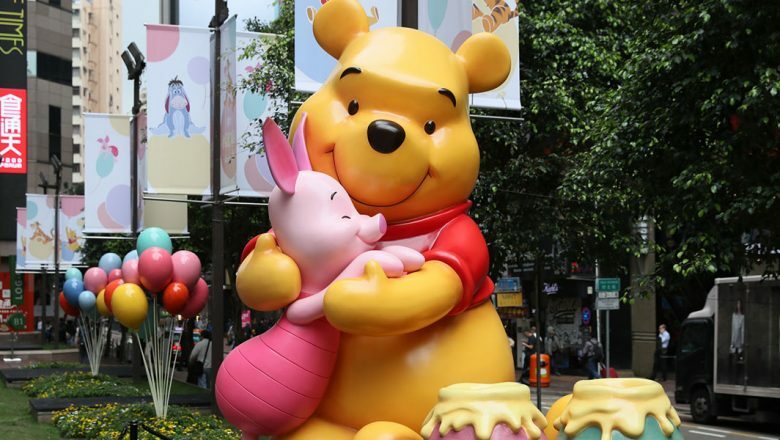 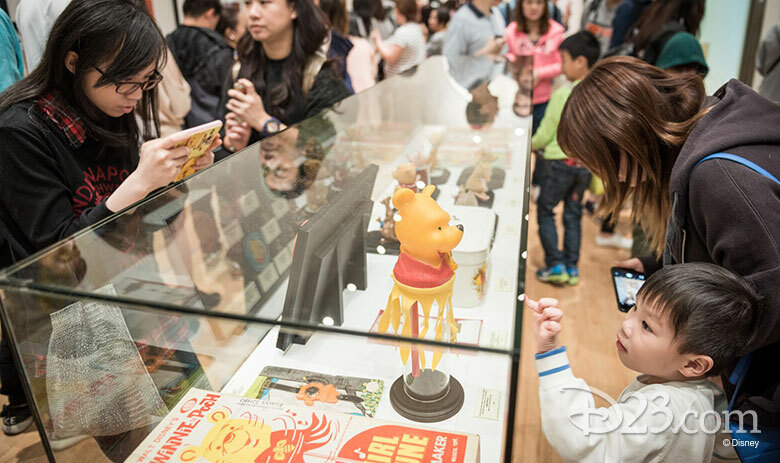 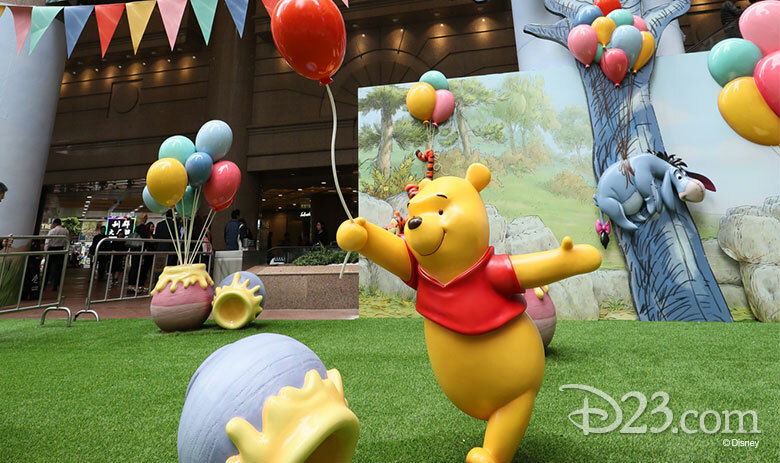 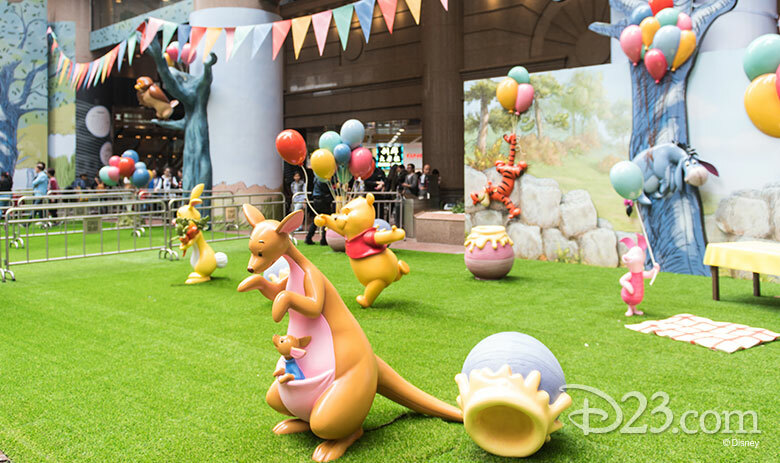 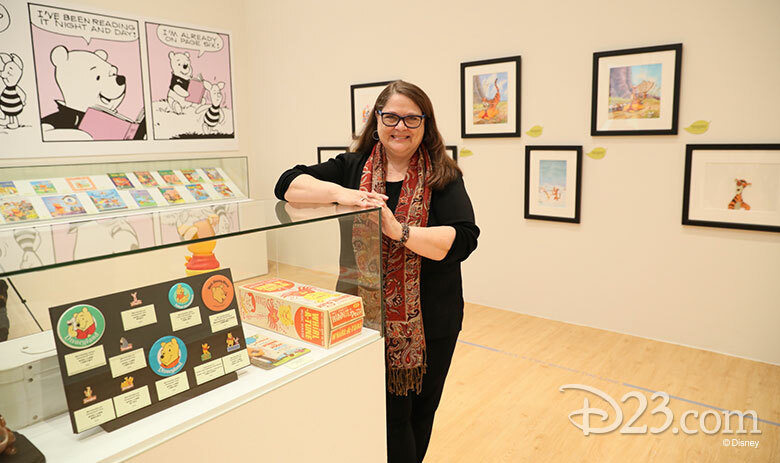 This amazing event is the largest Winnie the Pooh exhibit ever seen in Hong Kong, and features exquisite artifacts from the Walt Disney Archives. 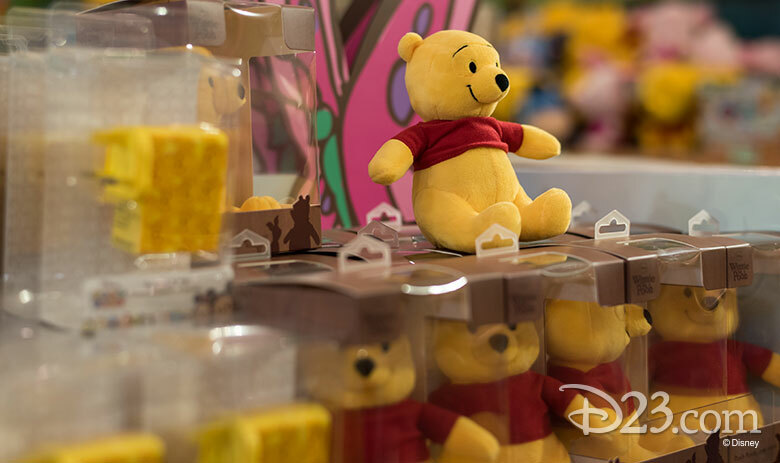 Many items will make their historic global debut, allowing fans to get a closer look than ever before—bringing to life the legacy of the iconic and beloved teddy bear… and giving fans a glimpse into the world of Pooh, filled with fun, friendship, loyalty, and love. 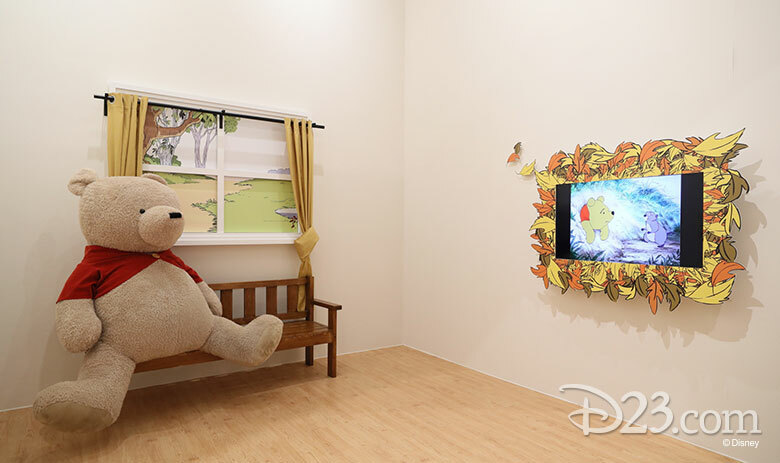 There are so many things to see and do at the “Winnie the Pooh: Be My Friend” exhibition! 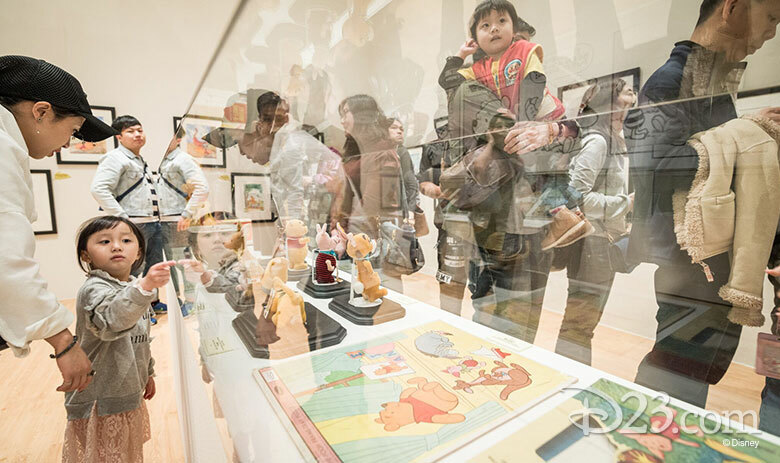 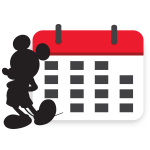 The presentation includes 92 rare and unique artifacts—storybooks, sketches, original animated cels, toys, and more. 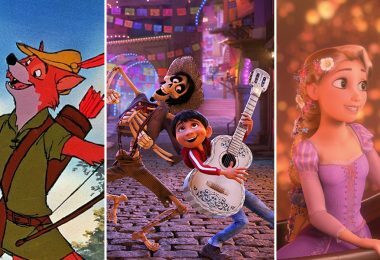 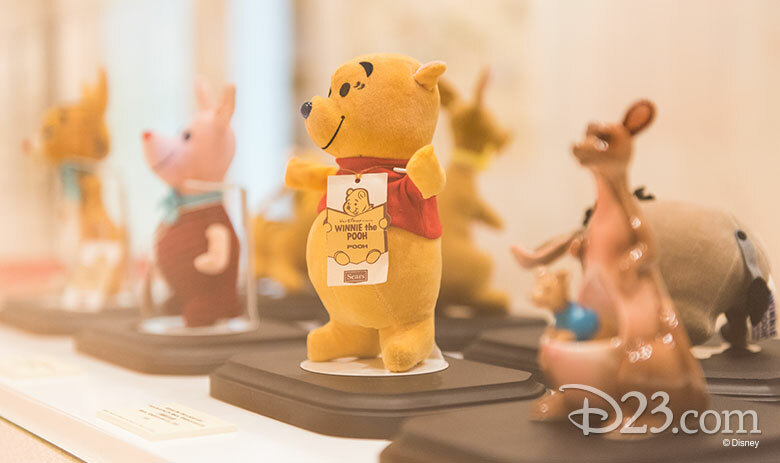 Over half of these items, which have long been kept under Disney lock and key, are going on public display for the very first time—and they’re sure to delight fans of all ages. 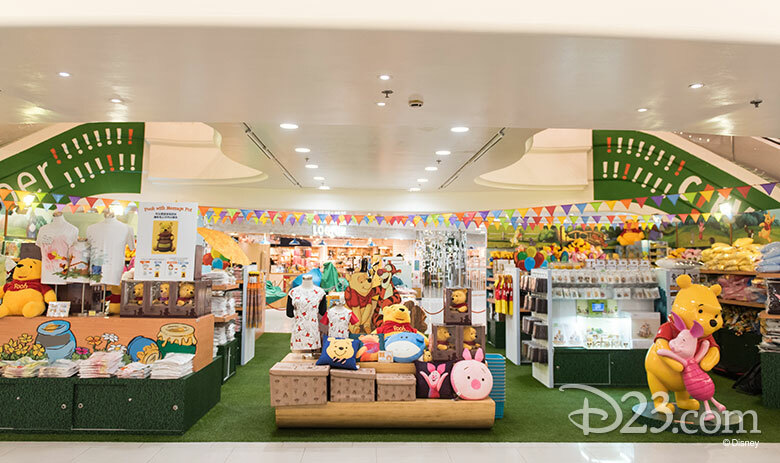 Elsewhere, visitors can cuddle with a gigantic Winnie the Pooh plush or watch movies in the media room, seen below—including The Many Adventures of Winnie the Pooh, Winnie the Pooh and the Honey Tree, Winnie the Pooh and the Blustery Day, and Winnie the Pooh and Tigger Too. 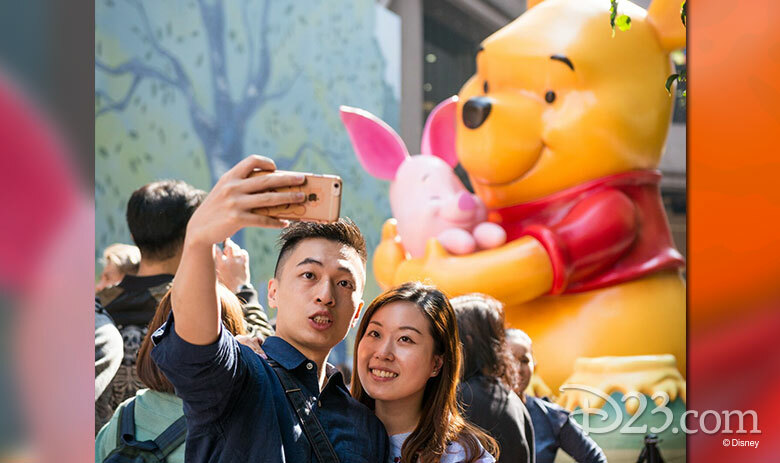 But that’s not all: Guests can take photos alongside 19 figures—including a whopping nine-foot-tall Pooh (seen above), plus Tigger, Eeyore, Rabbit, Owl, Kanga, Roo, Gopher, and more… all in an adorable replica of the Hundred Acre Wood! 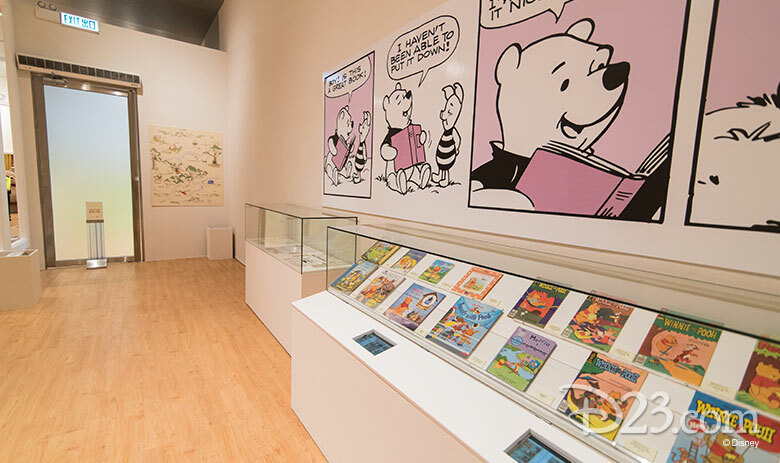 If you’d like to meet some of your favorite Winnie the Pooh characters live and in person, you’re in luck: Piglet, Eeyore, and the “grand Pooh-bah” himself will be on hand to greet fans on select days through the rest of the exhibition. 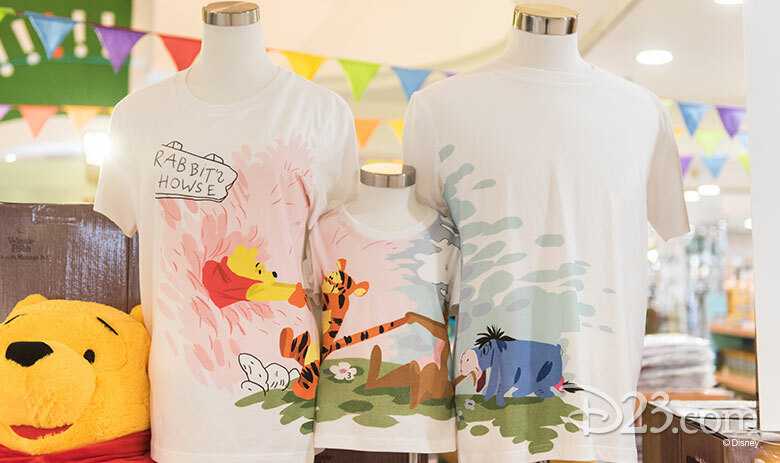 If you want to bring a little piece of the Hundred Acre Wood home, a “Pooh and Friends” pop-up store offers a variety of both new and classic Pooh products—including hundreds of exclusive items going on sale for the first time. 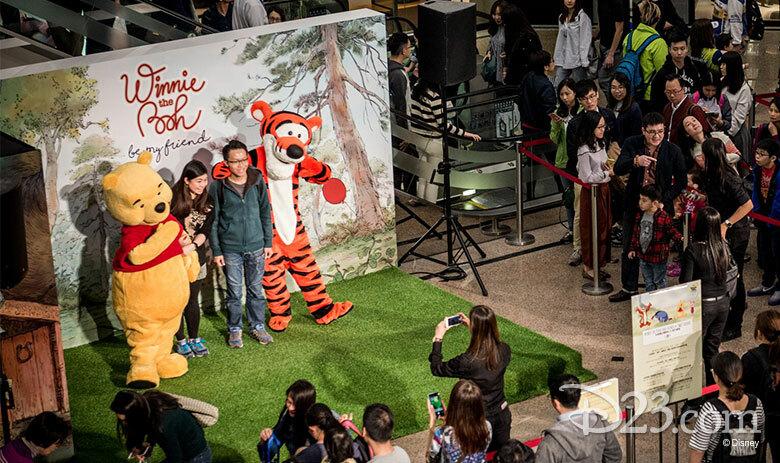 If you’re in Hong Kong this spring, don’t miss “Winnie the Pooh: Be My Friend”—now through April 23! 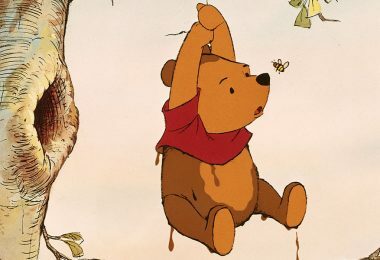 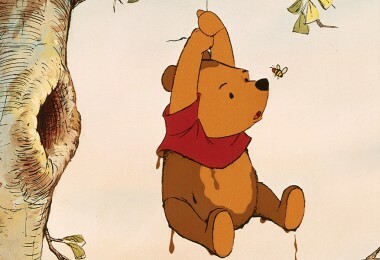 Winnie the Pooh and the Honey Tree: Did You Know?